Homes by Vanderbuilt is excited to present the Washington III. 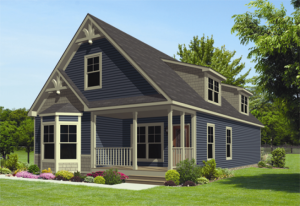 A Cape Cod style house, Washington III contains 3 bedrooms and 2 bathrooms. The Washington is great for home owners who are looking to looking for something small, with the possibilities of expansion. Homes by Vanderbuilt as seen on Xtreme Home Makeover.